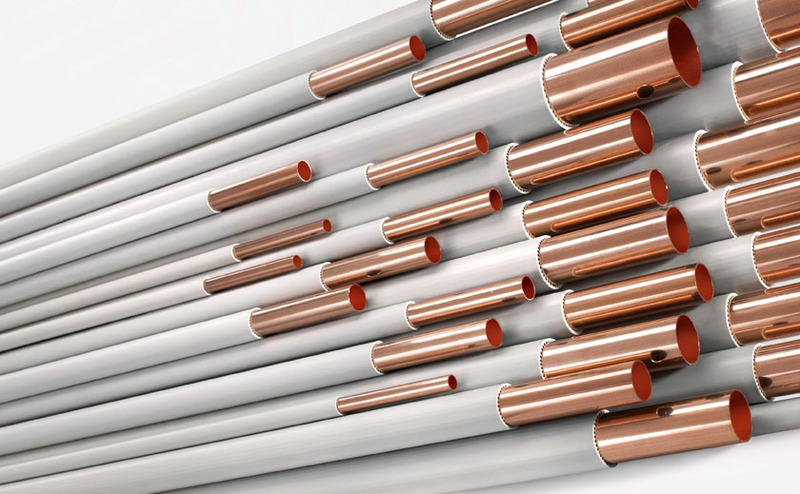 Kuterlex is copper tube coated with a seamless plastics cover, comprising a ribbed inner profile, which protects the copper tube against aggressive materials. The Kuterlex cover eliminates time-consuming wrapping operations. It is also colour coded to identify the services carried in accordance with UK local authority specifications and BS 1710: 2014, “Specification for identification of pipelines and services”.